08/12/14 -- Soycomplex: Beans closed a two-sided session higher. 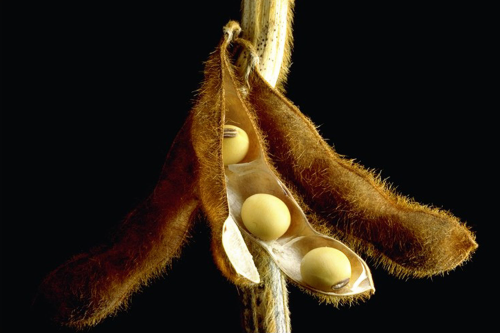 The USDA announced 130,000 MT of beans sold to Spain for 2014/15 shipment under the daily reporting system. Weekly export inspections were impressive once again at 2.2 MMT, taking the 2014/15 season to date total to 23.7 MMT versus 19.1 MMT a year ago. Chinese customs data showed that the country imported 6.03 MMT of beans in November, up 47.1% from October, but about the same as a year previously. China has now imported 62.87 MMT of beans between Jan-November, up 12.3% from a year ago. Trade analysts expect them to import around 7.5 MMT this month. Safras e Mercado said that Brazilian soybean planting is 92% complete versus 85% a week ago and 95% on average. Ag Rural estimated Brazilian plantings at 85% done, up 9 points on a week previously and 4 points behind normal. They forecast production up 10% this year at a record 94.9 MMT. Emater estimated soybean planting in Brazil's southern state of Rio Grande do Sul to be 80% done, with the crop largely in good condition. The Argentine National Bank, the largest agricultural lender in the country, are said to have announced that they will not give loans/credit to farmers who can't prove that they're not hoarding old crop soybeans. The Argentine government have been searching for a way of pressurising farmers into liquidating their crops, which some are holding as a hedge against the falling peso and raging inflation. Whether the move works remains to be seen. Jan 15 Soybeans closed at $10.43 3/4, up 7 3/4 cents; Mar 15 Soybeans closed at $10.49 3/4, up 7 3/4 cents; Dec 14 Soybean Meal closed at $401.50, up $7.30; Dec 14 Soybean Oil closed at 31.77, down 24 points. Corn: The corn market closed lower. March corn tried to break through $4/bushel but failed. The trade appears to feel that anything approaching $4/bushel on corn is a sell. 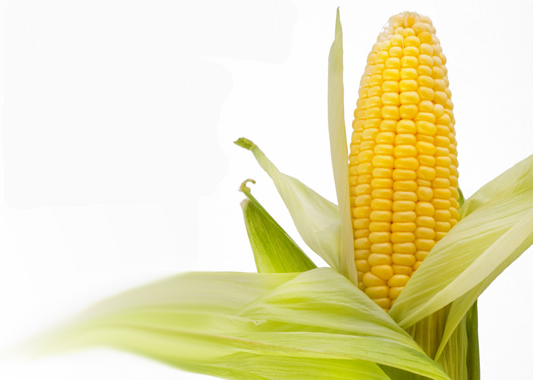 The USDA announced 136,000 MT of corn sold to Japan for 2014/15 shipment, which failed to cause much excitement. Weekly export inspections of only 532,498 MT were less than expected and below the level required to hit the USDA target for the season. The strong US dollar continues to hamper foreign sales. Emater said that Brazil's Rio Grande do Sul is more than 90% planted on corn, and will be finished by the end of the month. Crop conditions are mostly good. Dr Cordonnier said that the first corn got planted in the state around August/September, and that some of that will be ready for harvesting by the end of December, so whilst some are getting ready to harvest others will only just be wrapping up with planting. Safras e Mercado said that nationally, Brazil corn planting is 95.9% complete versus 99.1% a year ago. Ukraine is now concentrating it's export efforts on corn, with 539.3 MMT, or 83%, of the 649.4 MMT of grains shipped out of the country's seaports last week being corn, according to APK Inform. 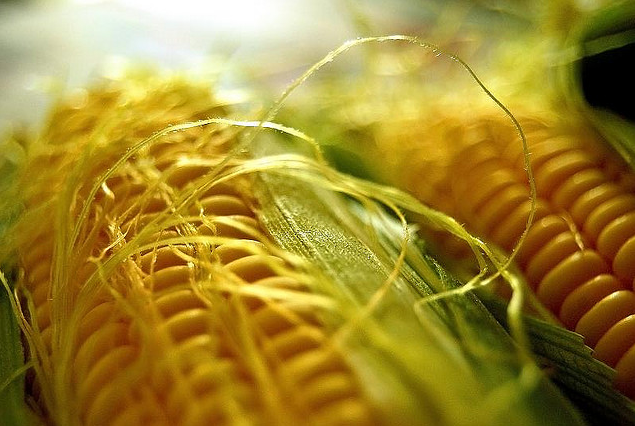 South Korea KFA bought 60,000 MT of US or South American origin corn for April shipment. New lows in crude oil was seen as a bearish influence, even though recent weekly US ethanol production levels have been very good. Dec 14 Corn closed at $3.77 1/2, down 4 cents; Mar 15 Corn closed at $3.90 1/4, down 4 3/4 cents. Wheat: The wheat market closed narrowly mixed across the three exchanges. Weekly export inspections were less than stellar at only 269,319 MT, around half of what they were in the same week a year ago. The strong US dollar continues to hurt demand for US wheat, whilst Europe is exporting at a pace that is currently even ahead of last year - when exports went on to be record high. The world wants wheat, just not US wheat, at least for the time being anyway. Russia's exports are also well ahead of last year's levels, they've exported 14.6 MMT of wheat so far this season. Bangladesh are tendering for 50,000 MT of optional origin wheat for Dec-Jan shipment. 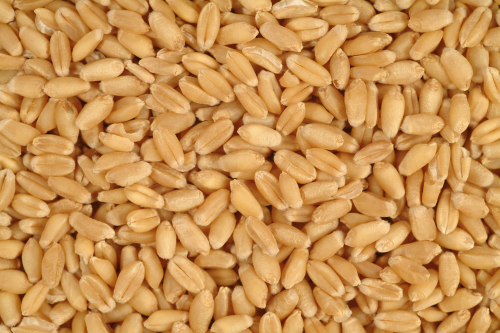 Jordan are in the market for 100,000 MT of hard milling wheat of optional origin. India said that it had sown 20.86 million hectares of wheat for the 2015 harvest so far, down from 21.37 million this time a year ago. Weakness was seen on the front month Dec 14, relative to the deferred positions. The trade might be questioning why in the case of Chicago wheat, this should command a healthy premium over Mar 15, given the current sluggish demand scenario for US wheat, and the slow pace of exports. Ukraine said that it's winter grains were 95% emerged, and that 82% of the crop was in good to satisfactory condition. 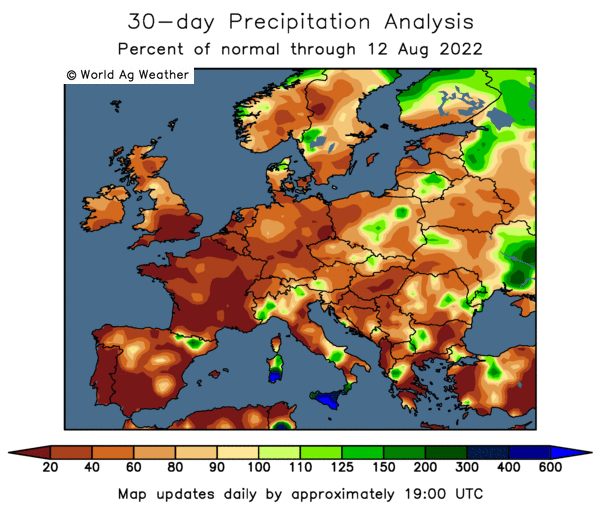 Large parts of Russia's winter grains remain vulnerable to winterkill. 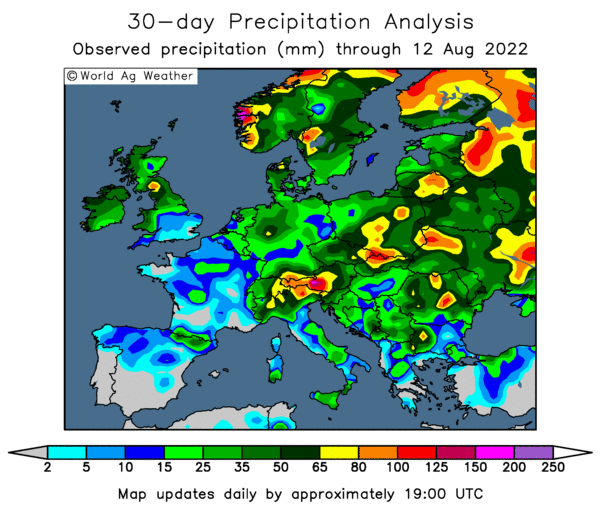 "World supplies aren’t ample enough to completely ignore potential export restrictions out of the Black Sea, but it is hard to get too excited so far ahead this far away from spring, when new crop issues could actually be confirmed," said Benson Quinn. Dec 14 CBOT Wheat closed at $6.10, up 1 cent; Dec 14 KCBT Wheat closed at $6.34, up 1 1/2 cents; Dec 14 MGEX Wheat closed at $6.17, down 2 1/2 cents. 08/12/14 -- EU grains finished a choppy two-sided start to the week mostly higher. At the close Jan 15 London wheat was up GBP1.10/tonne to GBP130.10/tonne, Jan 15 Paris wheat was EUR1.50/tonne higher at EUR189.00/tonne, Jan 15 Paris corn was EUR0.75/tonne firmer at EUR156.50/tonne, whilst Feb 15 Paris rapeseed ended EUR2.75/tonne higher at EUR343.00/tonne. Fresh news was relatively scarce to start the week, with the trade already developing a holiday feel. 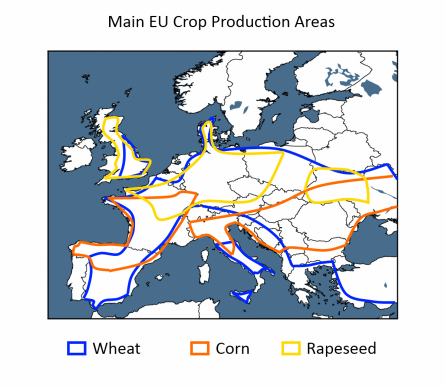 Strategie Grains estimated EU-28 rapeseed plantings at 6.5 million hectares, a 3% fall on last year. 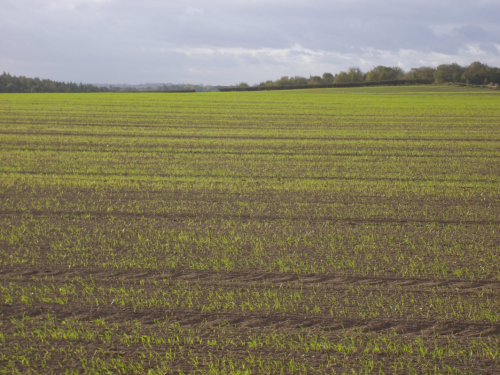 They also see yields dropping in 2015, down 8% to an average 3.3 MT/ha. That would take production 10% lower next year to 21.6 MMT, they calculate. 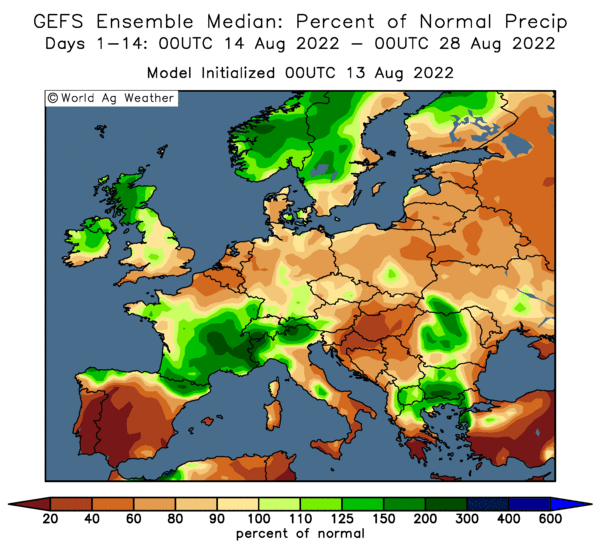 That's lower than the 22.5 MMT forecast by Informa last week, or Lanworth's 22.3 MMT estimate. 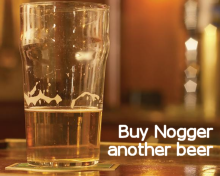 It does however tie in with thoughts of lower plantings across Europe due to farmer dissatisfaction with current prices, and also the new EU rules on neonicotnoids. APK Inform said that grain shipments via Ukraine's seaports totalled 649.4 TMT last week, up from 534.4 TMT for the week prior. Corn accounted for 539.3 TMT of that volume, or 83%, which is similar to 85% the previous week, continuing with the recent trend towards majoring on corn. Wheat shipments were only 8% of the weekly total, down from 15% the week before. Ukraine's Ag Ministry said that Ukraine had exported 15.85 MMT of grains between July 1-Dec 2nd, up 10% from a year ago. 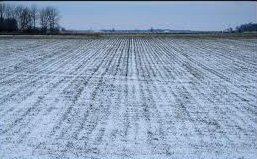 The Ukraine Ag Ministry also said that 95% of winter planted crops are now emerged, and that 82% are in good to satisfactory condition and 18% week/thinned. Russia said that it had exported 18.267 MMT of grains so far this season, a rise of 31% compared to a year ago. Wheat accounts for 80% of that volume (14.6 MMT). Russian growers are said to be emerging as more active sellers, despite the fact that the rouble has yet to stabilise, as some need the cash to pay bills before the end of the year. Congestion and adverse weather conditions at the leading Russian grain export port of Novorossiisk is said to be delaying some shipments from the region. Morocco's 2014/15 grain imports are said to be up 80% on a year ago (Jun 1-Oct 31) at 2.2 MMT. That total includes 750 TMT of wheat, 220 TMT each of durum and barley and over 1 MMT of corn. The leading wheat suppliers are Ukraine (260 TMT), France (210 TMT), Russia (120 TMT) and Germany (80 TMT). Argentina (580 TMT) is the leading corn supplier, followed by Brazil (230 TMT) and the US (150 TMT).